Spain is a highly diverse country with many different regions, all having their own unique culture, personality, history and food. These unique differences make Spain a fascinating place to visit. You can explore all corners of the country and see something different on every trip, no matter how many times you visit. From the expansive coastline to the vibrant cities, each experience will leave you feeling like you never want to leave. We’ve put this info in a short infographic for you! View it by clicking the image on the left. The best time to visit Spain is on the shoulder months of April, May, June or September and October. These months are when the weather is at its best and the crowds are lower than usual. Spain is a very popular tourist destination, especially along the coastline and in the Canary Islands, so high season is often very crowded and difficult to book. JULY-AUGUST: Summer is the red season for a number of reasons. It’s hot, crowded and expensive – especially in the large cities and at beach resorts. 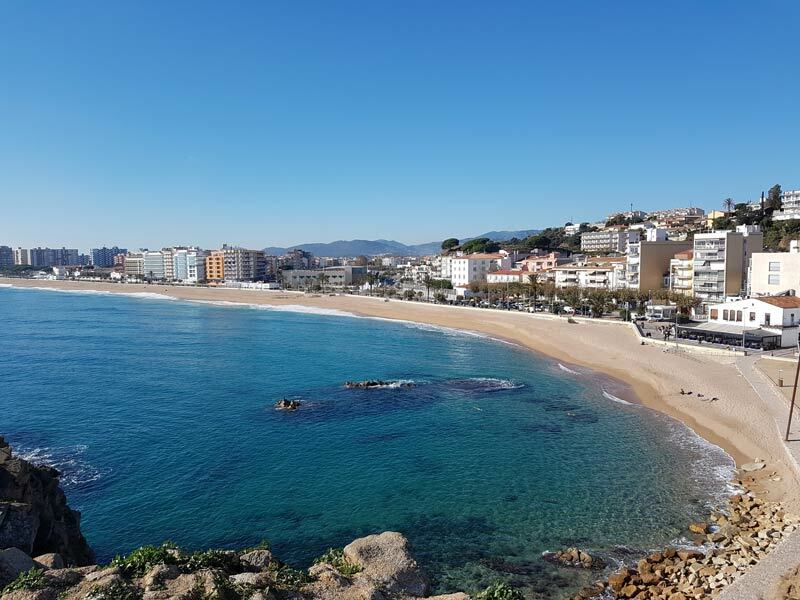 November & December is a great time to visit Spain, although many of the beach resort areas will be closed this time of year (except in the Canary Islands and Balearic islands). The crowds have died down, the weather is still usually very good and it’s cheaper. Cities like Madrid, Barcelona, Valencia, and Seville are all cultural hubs for different regions of Spain. You really have to visit them all to get a true feel for Spain’s culture and history. Spain’s beautiful beaches draw huge crowds year round. Costa del Sol, Costa Brava the Balearic Islands and Canary Islands offer idyllic views, soft white sand, and even rowdy parties. Spain is well-known for its incredible wine production. Visiting the bodegas of Spain is also fairly easy in places like La Rioja, Ribera del Duero and Rias Baixas. Catalunya is located in the northeastern corner of Spain which is a semi-autonomous community, where Catalan is spoken and the traditions and culture are distinctly their own. Here are our recommendations for where to stay in Madrid. You can use any of these links to read reviews or book your stay in Madrid. (They are affiliate links, which help keep this site up. We always appreciate your help). There are many options and it can sometimes be difficult to choose the right place. Within the city center, it’s easy to walk most places. So choosing a place in the city center is the best option. 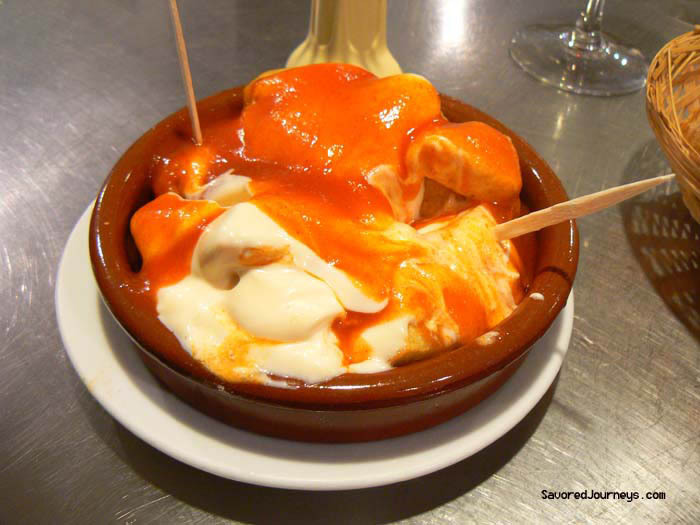 As you have already caught on, Spain is very diverse, and so is its food. Although you’ll find many of the same flavors and some of the same foods throughout the country, like jamon and chorizo, many of the dishes are unique to each region – whether it’s a slight difference, or an entirely different recipe. You’ll find famous dishes like paella (originally from Valencia), and Spanish tortilla (served all over the country), alongside creative, molecular gastronomy dishes that have their origins in Spain. When in Galicia, Spain, try these dishes, with local ingredients, especially from the sea. In Catalonia, there are a wide range of food products that are unique to that area as well. We tried 37 unique products there that blew us away. Dishes to look out for are pulpo a la gallega, Spanish tortilla, paella, Jamon Iberico, patatas bravas. If you have a chance to eat tapas, which would be extremely difficult to avoid in Spain, you’ll see the wide array of dishes that are served in Spain. For foodies, one of the top cities to visit is San Sebastian, where the number of pintxos bars and fine dining restaurants is larger than anywhere else. We also love visiting Logrono, in La Rioja, for the world-famous pinchos crawl. Spain is one of the top wine producing countries in the world. The land is fertile and perfect for growing grapes – and not just in one area, but all over the country. Some of our favorite wine regions in Spain are La Rioja, Ribera del Duero and Rias Baixas. All of them are fantastic destinations on their own, but add in the great opportunities for wine tasting and you have the perfect vacation spot. Of course, wine isn’t the only thing to drink in Spain. You’ll also find a lot of Vermouth, coffee and sherry. Some drinks to look out for are Txakoli and Cava (sparkling wine), sidra (cider) and Tinto de Verano (wine and soda). Mealtimes are later in Spain – expect to eat lunch around 2pm and dinner around 10pm. Pintxos or pinchos are found in Basque country and are basically tapas served on a piece of bread or held together with a toothpick. Know your ham! Jamon iberico de Bellota is the most expensive – and delicious. Shops and stores generally close between 2pm and 5pm, for an extended lunch and afternoon break. When driving on the freeway, stay right except to pass. Immediately switch back to the right lane after passing. By reading this Spain Travel Guide, you now know what to do and where to go, and have sorted out the right time to visit Spain. So, pack your bags and book your tickets, because Spain awaits you! Need more help planning your perfect Spain vacation, check out these top travel books.